Keep It Simple and Fast: Exact Synergy Enterprise with MS Reporting services (SSRS) now available. Exact Synergy Enterprise with MS Reporting services (SSRS) now available. As of 20 may 2010 Exact Synergy Enterprise product update 243 is general available. In this product update the first step is made in the integration of Microsoft Reporting Services. This enables the users of Exact Synergy Enterprise to build their own reports and run the reports within the Exact Synergy Enterprise interface. In combination with the latest SQL 2008 R2 release, you can transform data into information. 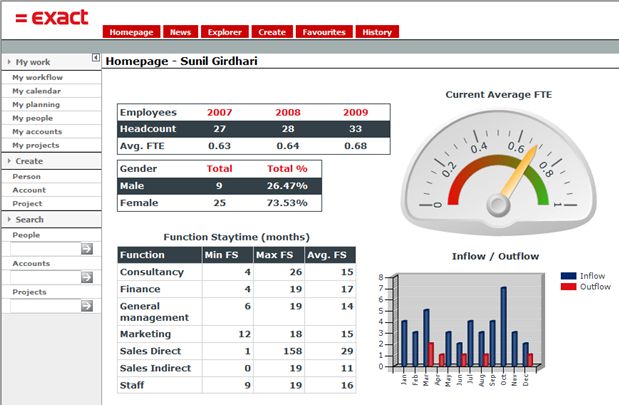 All new added features in SQL 2008 R2 like indicators, data bars, spark lines, maps etc can be used in your reports. For a small preview about this integration please have a look to this video. Enjoy building nice reports on your Synergy database please keep in mind some tips to improve the performance of your SSRS reports.